These eye-catching artworks from the Paisley First Wall Murals series are well worth discovering. 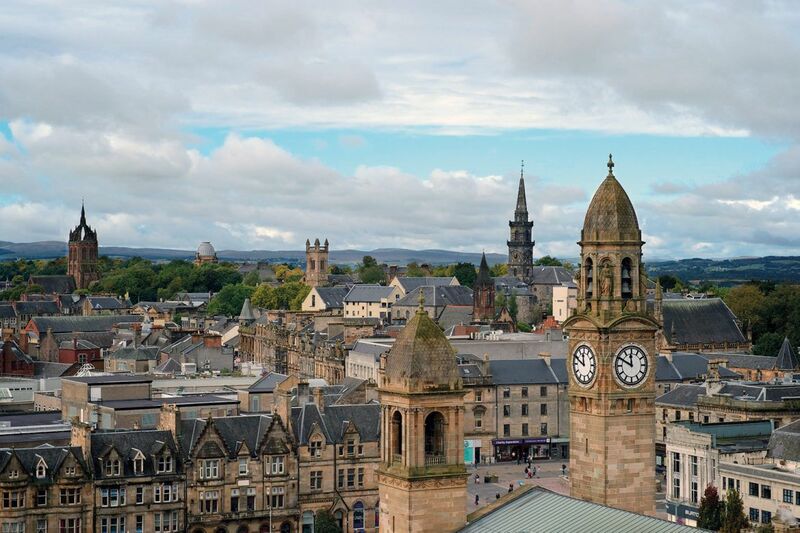 Take a stroll round town and glimpse them all. What’s your favourite? 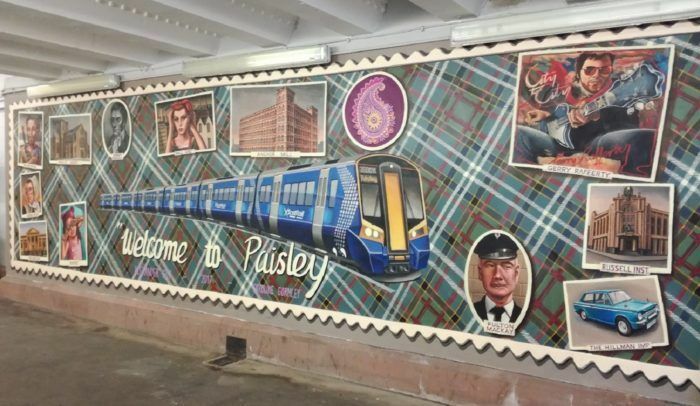 Rail commuters are welcomed to Paisley by this stunning artwork which celebrates iconic people, places and moments from the town’s past – everything from a mill girl, a burning witch and Gerry Rafferty to Fulton Mackay, the Russell Institute and the Hillman Imp car. 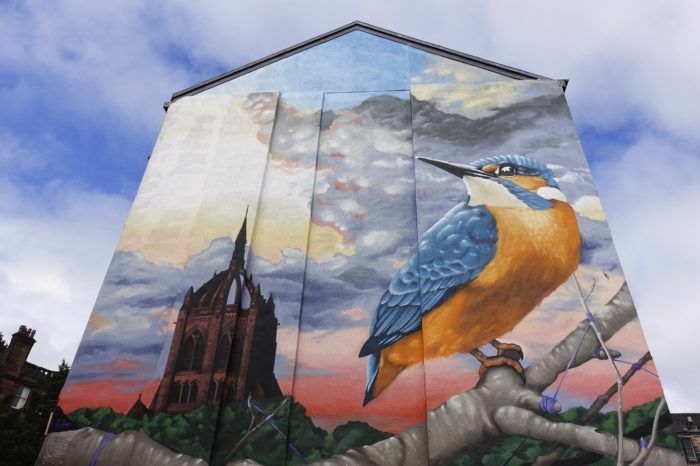 This stunning 16-metres-tall mural depicts a beautiful kingfisher perched next to a ball of yarn, with the iconic Thomas Coats Memorial Church building in the background. The kingfisher represents the life and work of Alexander Wilson, considered the father of American ornithology. 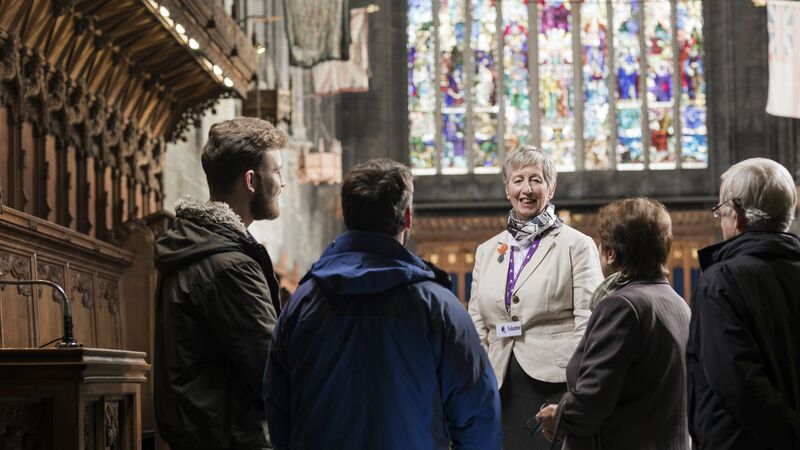 The yarn draws on Paisley’s rich heritage of textile production and the church building is a nod to this same heritage and its architectural legacy. 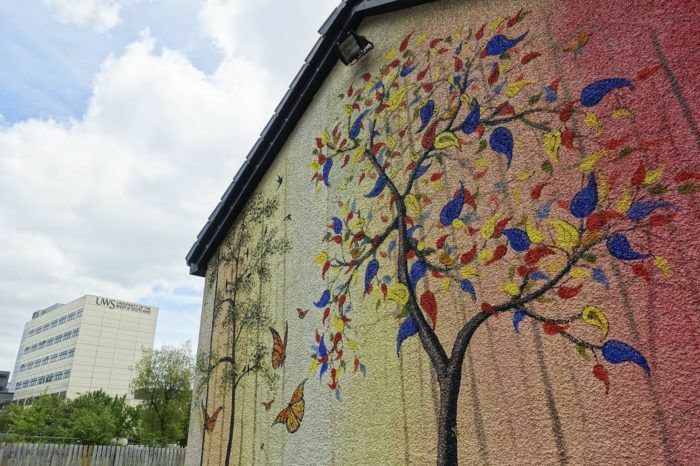 Local girl Eva Rose Ross is the star of the ‘Buddie’ artwork on Storie Street. 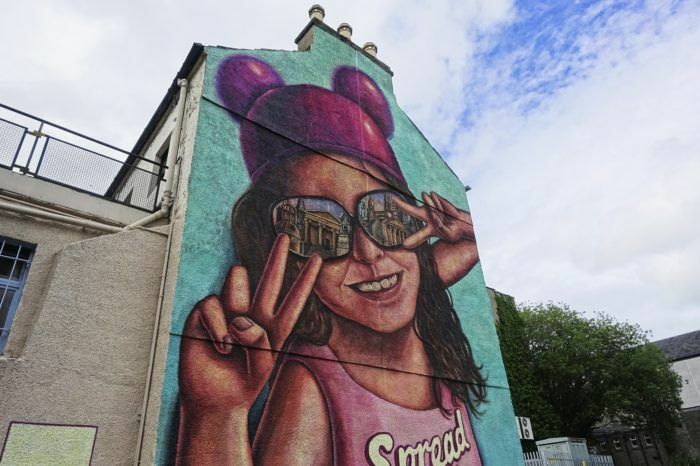 The then-7-year-old won a competition to be commemorated on the gable end of the popular Allan’s Snack Bar and her sunny image has brightened the street since. 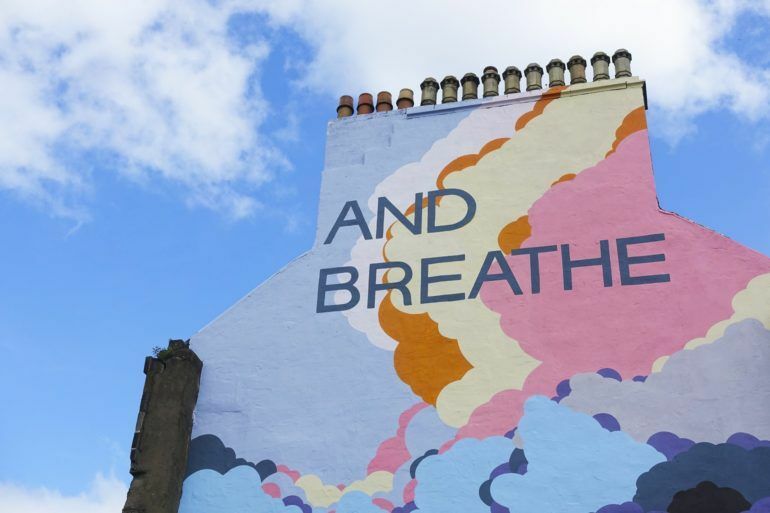 ‘And Breathe’ is a collaborative effort between local artist Duncan Wilson and the Made in the Mill group, which uses art and creativity to aid recovery. Many have taken its message to their hearts and it speaks powerfully to the importance of positive mental health. This stunning work incorporates a tree with roots, the Paisley pattern and butterflies – all signifying birth and re-birth – as well as a small marker to the famous ‘slug in the bottle’ case.